The Very Best Hair Extension Tutorials - Get The HairStyle You Want! Are you trying to find the very best tutorials to install and style your hair extensions? Read on, because we have gathered the very best of the best so that you can make the hair of your dreams a reality. Enjoy thicker and more voluminous hair with ethically sourced hair extensions from Eden Hair Extensions. With 100% Remy real human hair, Eden Hair Extensions provide luxurious elegance that pairs well with any outfit. Whether you are preparing for a big day or want to upgrade your daily look, Eden Hair Extensions provides you with the tools you need to boost the length, thickness and volume of your hair. With an impressive range of styles, colours and thicknesses, at Eden Hair Extensions you can find the perfect hair extension for you. From Bleach Blonde clip in hair extensions to Jet Black ponytail hair extensions, the experienced team at Eden Hair Extensions have got your back. Are you searching for new ways to style your ponytail hair extensions? This spectacular guide from Beauty With Bec provides you with a number of industry insights that will have you rocking your ponytail like a pro in no time. This five-minute guide crams in a lot of goodness in a short period of time. With helpful tips for ensuring you install your ponytail easily and professionally. Once you have installed your ponytail hair extensions then you can boost your style with the three styles that Bec explains. Even though Erin Scott admits she is not a professional hairstylist, this helpful guide shows just how easy it is to get amazing results with the Eden Hair Extension clip in hair extensions. As one of the most personable beauty vloggers in Australia, watching this tutorial from Erin Scott is not only enjoyable but will help install your clip in hair extensions like a seasoned industry expert. Learn how to clip in extensions and avoid beginner mistakes. 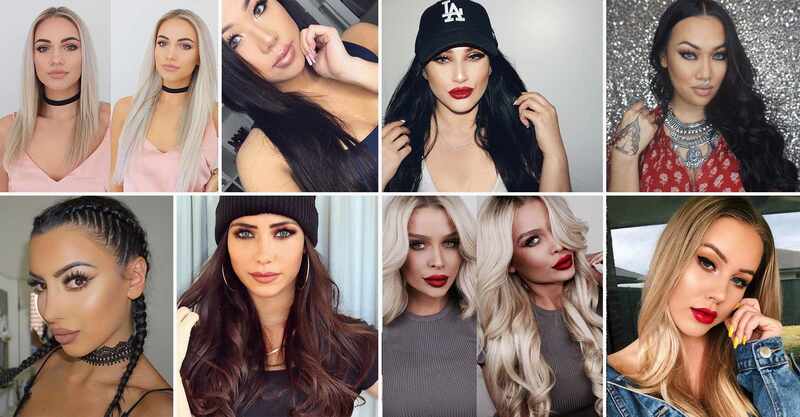 If you want to clip in your extensions like Kim Kardashian but don’t have the budget to match the lavish lifestyle, this awesome guide from Casee will have you maximising your locks in no time. This entertaining guide offers a number of great tips that can save you time, money and hassle. Are hungry for a new style? Does a cascade braid sound too intimidating? Take the fear out of braiding with this innovative and exciting tutorial by Whitney from Eden Hair Extensions. In just under five minutes you will learn the tips and tricks to master cascade braiding like a hair pro. Whitney will show you step by step how to simply and easily cascade like a braiding master. For a bunch of other expert guides by the style gurus at Eden Hair Extensions, do yourself a favour and subscribe to the Eden Hair Extensions YouTube channel. Not only will you get the very best tutorials on styling your hair extensions, but there are also exclusive deals and specials that you will be able to access. Another day, another style. With the expert tutelage by Whitney from Eden Hair Extensions, this short tutorial is perfect for both beginners and experts alike. Discover simple tips that can save you time and help make your fishtail braid a success. Learn how to properly pull the hair to ensure even and smooth braids that will last all day long. Whitney is one of the most respected experts in the industry, so you can be confident that you are learning from the very best. Mix up your style and get the most out of your new hair extensions by learning how to bubble braid like a professional hair stylist. With a different braid for every occasion, the creative team at Eden Hair Extensions will ensure that you never get bored with your hairstyle. If you have been on the search for the highest quality hair extensions in Australia, Eden Hair Extensions ticks all of the boxes. Come and find your new favourite hair extensions on the Eden Hair Extensions website and get ready to bring your dream hairstyle to life. Find your perfect match and rock your new hairstyle with your own personal flair. 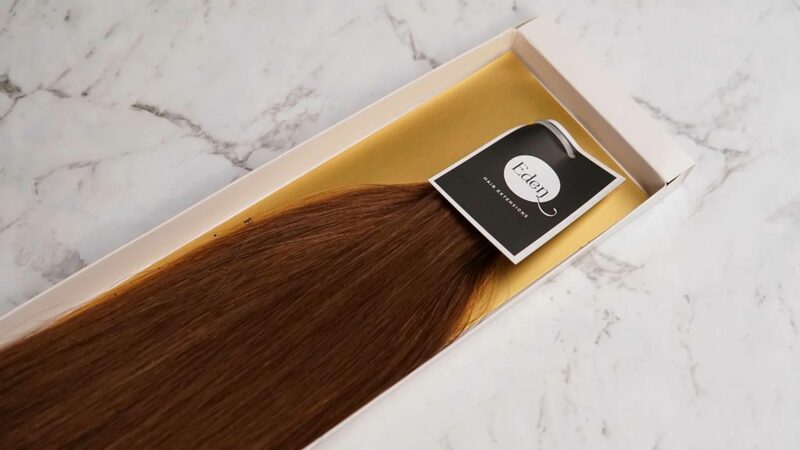 For the very best prices, sign up to the Eden Hair Extensions newsletter to receive special bargains and discount codes.